Complement your outdoor living area with the finest in quality and practicality, with the perfect companion to your outdoor kitchen, the Firemagic KEGERATOR. 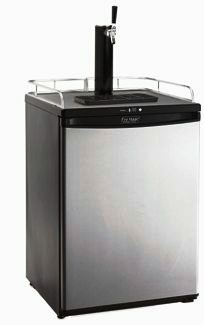 Accommodates 60-litre beer kegs (CO2 tank and hardware are included). LED display, reversible door hinges, black/chrome beer tower dispenser, drip tray and optional swivel casters for portability. SORRY..keg not included!